I sat down on a warm and relaxing summer night to sink my ever churning mind into the depths of Danna Pycher’s poignant literary debut, 3rd Generation And Beyond. There was great anticipation leading up to this night, as Pycher’s book had been gifted to me for my birthday by a dear friend. I was blessed to receive a signed copy and could not wait to voyage into the ancient expanse of a brilliant young author’s consciousness! Tears of emotion appeared in my eyes before I had finished reading the introduction. 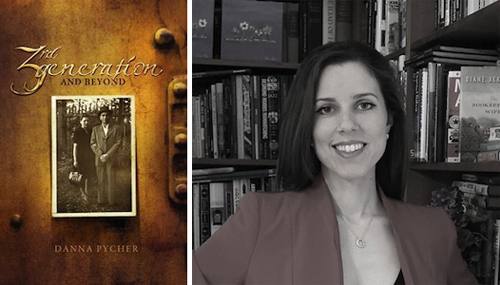 Pycher’s passion is not only prevalent, it is beautifully contagious. People from all cultures and religions will be transformed by the treasure trove of wisdom, historical education, and spiritual enrichment found within 3rd Generation And Beyond. Pycher presents life’s most profound truths and philosophies in concise, simple and exquisitely touching form, with each guiding principle worthy of extended teachings in (grade) schools (and schools of thought) worldwide. 3rd Generation And Beyond is a wholehearted and inspiring book. Sharing stories from her grandparents, parents, and her own miraculous life, Pycher reminds us of our precious mortality and how vital it is to live our days on Earth intentionally and lovingly. The reader is bathed in cathartic and quenching sincerity via writing that tenderly tugs at you with a determined might . . . to ignite your inner light. Mission accomplished – with a noble, responsible (and at times, poetic) perfection. Pycher does not allow important moments to be lost in the dense fog of ages passed. Nor should we. This is a relevant read, stemming from a nearly unfathomable period in time. Personally, I have never been more proud and honored to be a Jew, or more empowered as a human. *Warning: A book can change a life. This book will. or to purchase 3rd Generation And Beyond . . .